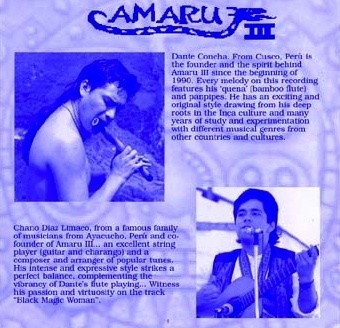 Amaru III play evocative South American folk music. 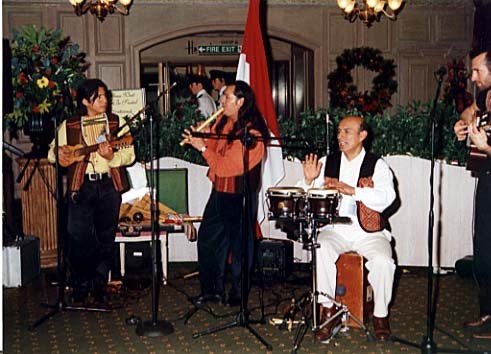 Popularised by Incantation, you can now experience for yourself the haunting melodies and rhythms of the Andes. Amaru III are a band from Peru who create a new and exciting musical experience. They peform South American music based around the haunting sound of the pan pipe and bamboo flute, accompanied by the vibrations of the guitar, bass, charango, drum, cajon (box drum), bongos, maracas and passionate voices, with artists dressed in traditional colourful costume. Amaru III work with highly qualified professional South American musicians, expressly selected for their originality and individual achievements. 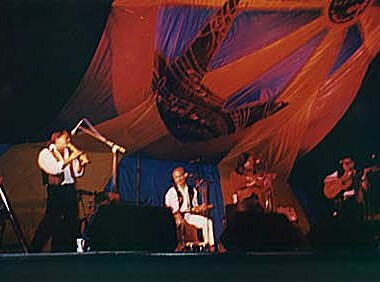 They combine their unique style with South American folk in traditional and modern rhythms. The end result is an explosive fusion which makes Amaru III a leader in the new generation of South American bands. 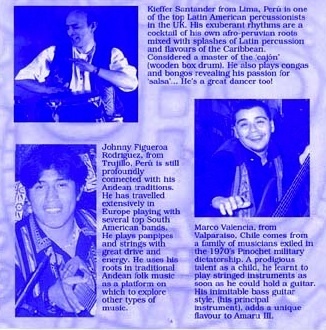 Since its foundation in 1990, Amaru III’s popularity has grown enormously due to the band’s charisma and the quality of their performances, and they are invited back to repeat performances year after year.